You are so cute! Love all your outfits and I hope the sickness goes away for you! 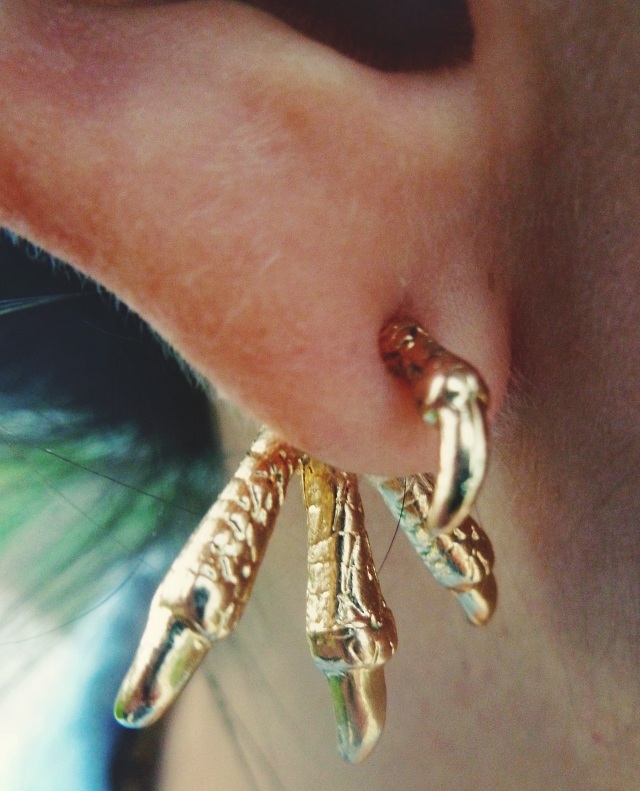 Your earrings are seriously awesome! I've been wanting something like that for a while now. If you follow me, tell me, I will follow you too! Such a cute outfit!!! You look great! LOVE this outfit! you are absolutely glowing! Love that dress! You look adorable as always! 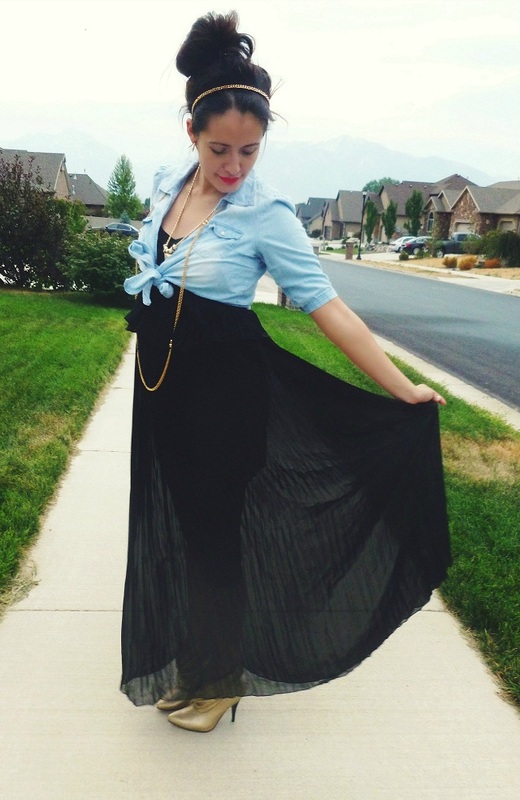 You are gorgeous :) Love your outfit! you're looking FANTASTIC! and those boots? yes, please! Seriously girl. you have style! 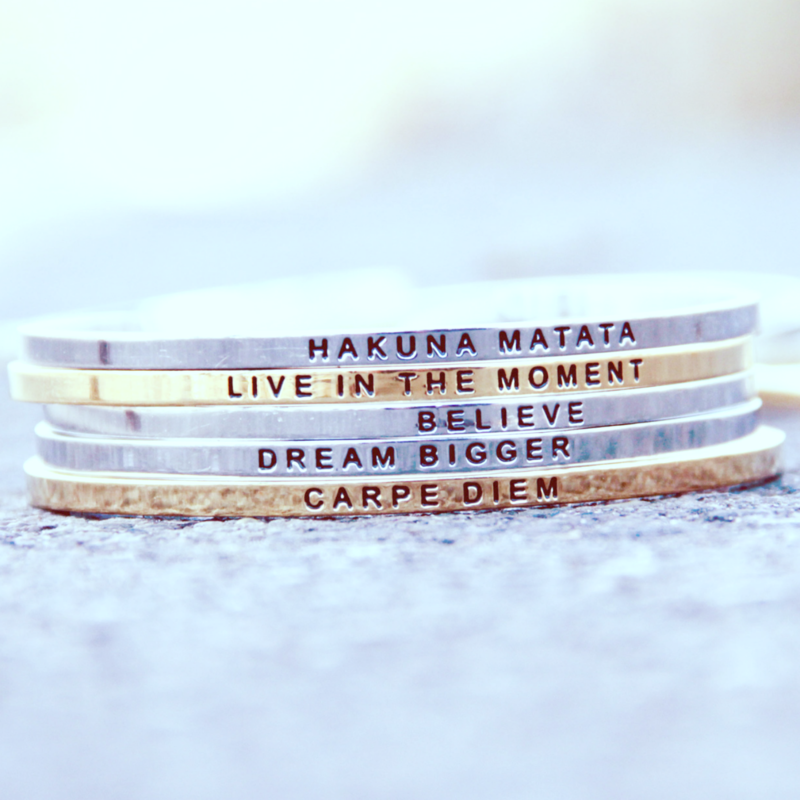 I really love your style :) Such a great blog and amazing giveaways featured! 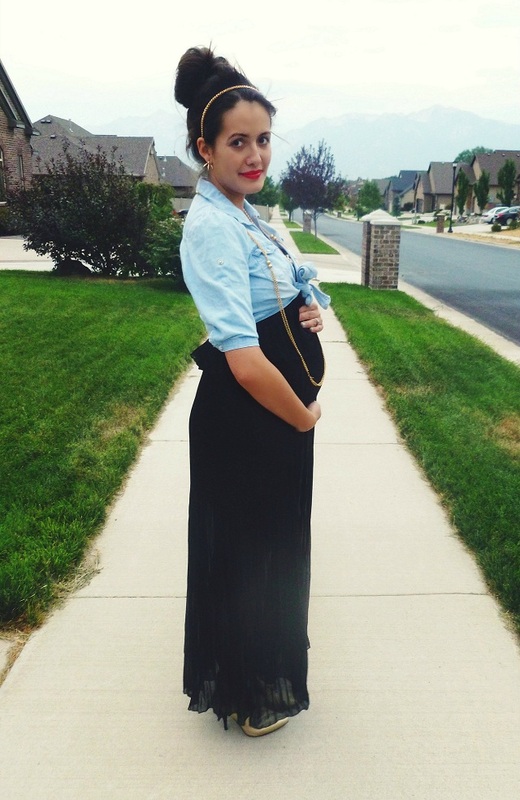 I always come to your blog for preggy style tips. You look stunning in this outfit. What pretty, pretty shots! 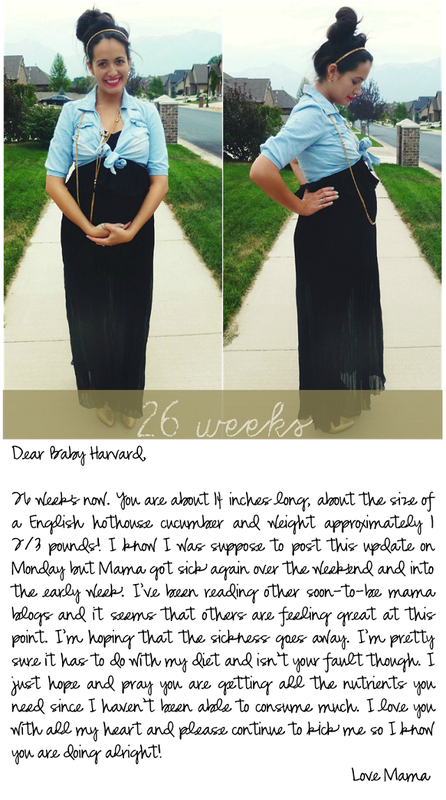 I'm 29 weeks right now, and even though it's with my second, I can't believe HOW LARGE I am by comparison! You look positively ravishing! Just stumbled on your blog today. Congrats! Your letter is so moving, as always. I love your golden boots ! !